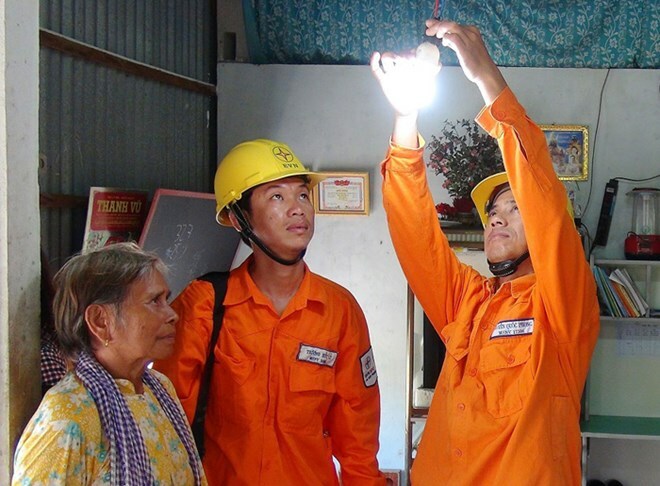 Hanoi (VNA) – Power loss in Vietnam Electricity (EVN)’s systems has reduced sharply over the years thanks to the firm’s efforts to better manage the power network, especially in transmission and distribution. Last year, the EVN saw 6.9 percent power loss, 0.3 percentage points lower than its target, and completing its five-year plan a year prior to the deadline. In 2019, it aims to reduce the loss to 6.7 percent and to 6.5 percent in the future. Since 2015, the firm has seen improvements in power loss reduction, from 7.94 percent in 2015 to 7.57 percent in 2016, and 7.24 percent in 2017. According to Prof. Tran Dinh Long, Vice Chairman of the Vietnam Electrical Engineering Association, the reduction of power loss in the recent 10 years has shown the EVN’s great efforts, helping Vietnam become a leading country in terms of low power loss.